Where is my status bar in Firefox Quantum? Here’s a way to restore it! 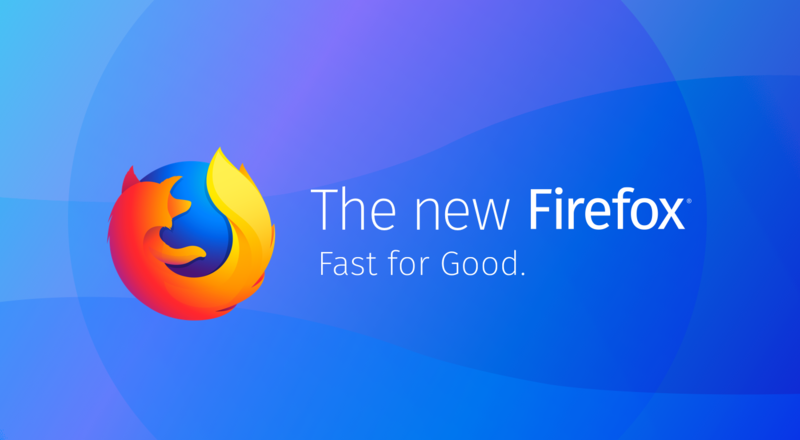 The new Mozilla Firefox Quantum is quite cool. It’s fast, secure, and it has great support for all the latest “bells and whistles” in HTML/CSS/JS. One thing is missing though — OK, maybe not one, but one that highly annoys me: the status bar. 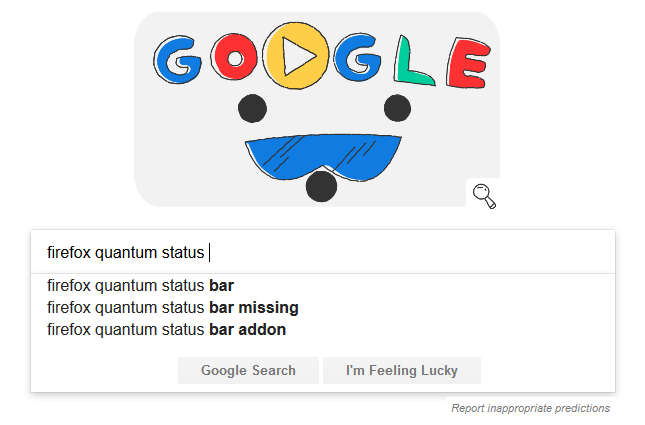 And I am not the only one — Google “predictive results” suggests that probably thousands of people search for the status bar in the latest Firefox release. But what’s a status bar, you may ask? Usually it’s a little ribbon near the bottom of the browser’s window which can display a variety of information whenever needed. For example, while a web page is loading, the status bar may display brief glimpses about its loading progress. Or, when you mouse over a link on a page, the status bar will display the URL even before you click on the link. Handy! When a web page is loading (1), the status (2) bar may display brief glimpses about its loading progress. In one word: the status bar is something very, very useful! b) or, you can display and hide it based on context — which is the new default for most browsers, including Firefox. In my opinion, displaying and hiding the status bar based on context, is not ideal UX (user experience). Page is loading and the status bar “pop-up” shows at the bottom of the browser window; page has loaded — status bar disappears; you mouseover one or a few links on the page you’re reading — and the status bar shows then hides then shows again… On/off, on/off, on/off… hundreds of times! It’s visually distracting. A bit of history: Google Chrome was the first browser to introduce this annoying “show/hide status bar” behavior and then many other browser vendors started adopting it as well. Firefox was not exception. Unfortunately, Firefox Quantum brought not only some cool stuff but some bad stuff as well, and namely, it broke all the existing (pre-Firefox-57) extensions! And so Status-4-Evar was gone as well. I am using Mozilla Firefox (and before that, Mozilla Suite) for ages. I love the browser. I like that it’s developed by the Mozilla Foundation (and not Microsoft or Google or Apple — three giants that I don’t like particularly). I like that I can customize every little bit of my browsing experience in Firefox… or rather, could. Because, as I just mentioned, most of the old extensions will not work in Firefox Quantum (versions 57, 58 and later). So I jumped on a quest to find the missing status bar! 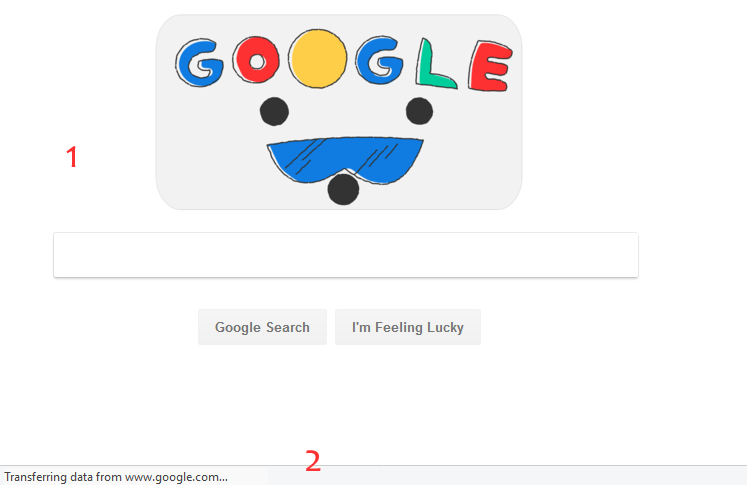 A quick google search showed quite a few results but some of them were misleading and others turned out to be just some posts where people complained about the missing functionality. I then dug deeper and found out that even if now Firefox extensions cannot customize the user interface of Firefox anymore, there is still a manual (and not so well documented) way of modifying bits of the interface by using a special CSS file that you can create locally on your computer: userChrome.css. The userChrome.css file must be created inside the chrome folder in your Firefox profile (this is well documented in the following Firefox help page). permanently at the bottom of the browser window. I took the idea from the following page: firefox-gui-chrome-css and made some slight modifications to it. It works best with the Light theme for Firefox Quantum. Note: If you are using more than one Firefox profile, you’ll need to add the modification to the userChrome.css file separately to every chrome folder in every profile. I have tested this “hack” on two different Windows 10 computers with the latest Firefox 58 and it works brilliantly, at least for now. — only remember (after the download) to rename the file back from userChromeLight.css or userChromeDark.css to userChrome.css. I added “Light” and “Dark” in the file name only to differentiate between the two versions. UPDATE! (28/06/2018): After the release of Firefox 61, the CSS code needs to be tweaked, or otherwise it will not work. If you (for some reason) are still using Firefox 57, 58, 59 or 60, everything will be fine, use the older code. If you are using Firefox 61 or newer, get one of the next two CSS files which were updated and tested to work with the newer 61+.